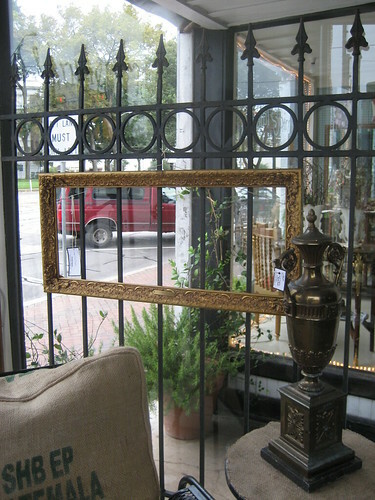 I designed my very first window dressing this weekend at Winnie & Tulula's. Wanna see? David and I enjoyed the challenge of giving a view from most angles. 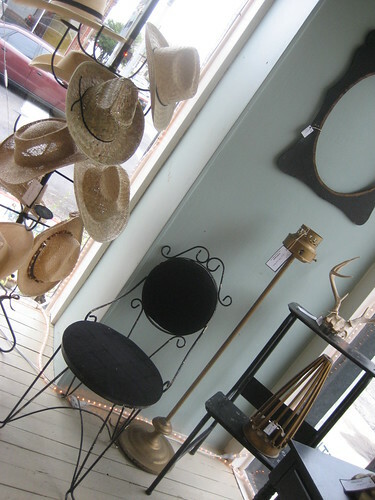 I purchased almost all new merchandise for this black/gold/burlap/straw hat motif. 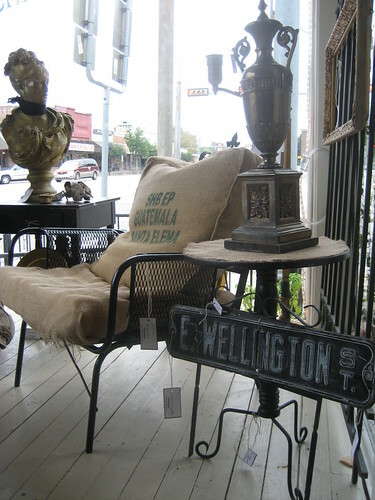 Those great burlap pillows used for backrests are available from The Sweet Pea Collection in Athens. There are actually 3 window views from the "stage" area. Here are some outside views. Sorry for the glare. See something you like? 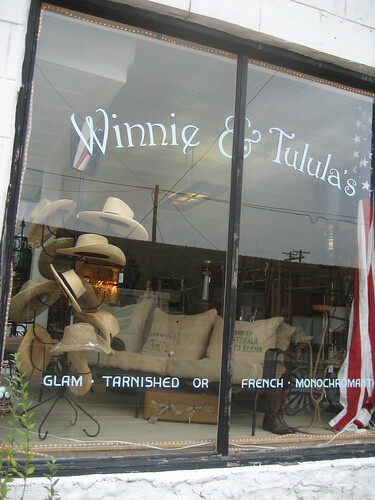 Head to Winnie & Tulula's in Athens and grab it all up! 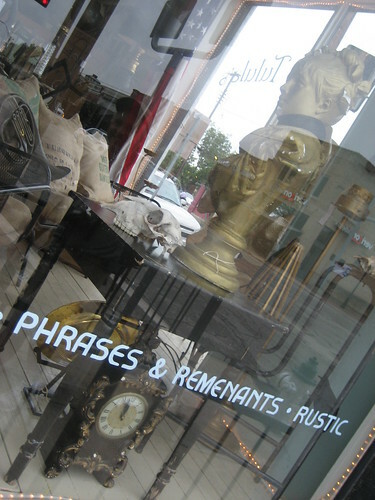 For more photos of the window, go HERE. Of course, David took pictures! HERE they are. I LOVE it! It looks amazing. 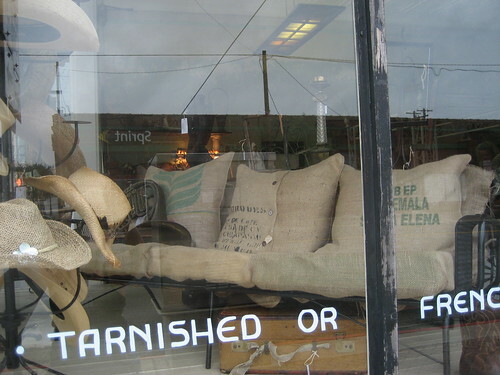 I really like that couch/seat with the burlap covers. You've got an amazing eye! Great job you two, tres "western" chic! Very man cave with a touch of fall! Hello fellow Texas, so good to see your awesome pics! It looks great. I love the gunnysack cushions. I just to work in a dress shop and decorating the window display was my favorite thing to do. It really looks good! See something I like?!? Are you KIDDING me?!? Uhhh, how about ALL OF IT! I cannot wait to see what you've got planned for Warrenton! It looks wonderful Mindy. Ya'll did a great job. My turn is next month, like you, i'm saving up stuff for my Fun Fall Junk Display. Great idea on the gold and black! It turned out great! Wow! Great job! Looks like you have nothing else to do! How did you do such a great job while packing your trailer too?